Can IVF bring on early menopause? One of the most common question patients like to ask about IVF is that whether the treatment itself will bring on Menopause earlier. This is probably by far one of the greatest myths about IVF which we would like to clarify. A woman’s ovaries contain immature eggs sacs known as follicles, which have the potential of developing into mature eggs. However, most of these follicles will be lost without having fulfilled their purpose. Women are born with millions of eggs in their ovaries. These eggs are quiescent in the ovaries until the women reach the age of menarche (when they get their first menses). At that time, the eggs in the ovaries started to come up after hibernating for 10-16 years. This is due to a pulsatile release of hormones from the organs below our brain called hypothalamus and pituitary. So, at the start of our menses, our ovaries will recruit around 10-20 eggs at one go. However, after the menses, our body will only choose one egg to grow. The rest of the eggs will regress and die off. With the help of our hormones, the particular ‘chosen’ egg with grow to a certain size and maturity, and then ovulation will occur. Hence, we only release one mature egg every menstrual cycle. But of these many follicles, only one of them will become dominant and mature. The others that do not get a chance to mature and release an egg, will simply disintegrate and be lost in a natural process called atresia. The loss of these follicles during each menstrual cycle means that several undeveloped eggs are also lost. So if a woman can naturally produce only one egg per menstrual cycle? How do IVF specialists harvest several eggs at once? When a woman undergoes IVF, she will be prescribed with injections containing FSH. The amount given will be several times higher than what her body would naturally produce. This high amount of FSH will stimulate a lot more follicles than usual and help more of them to mature into eggs. An important thing to understand is that FSH will only act on the follicles that a woman’s body will naturally produce each month. Therefore, there is no depletion of the overall egg supply. And when those eggs are harvested during an IVF treatment, they have actually been spared from atresia that would have occurred during that menstrual cycle. It is also important to note, that whether or not they undergo IVF, women who struggle with infertility are usually already at risk of having poor ovarian reserve and reaching early menopause. One of the tests that can be used to detect low ovarian reserve is the Anti-Mullerian Hormone (AMH) blood test. Egg reserves and AMH levels usually decline with age and can be affected by environmental factors such as cancer treatment or ovarian surgery, as well as inherited genetic causes, endometriosis, tumors, immunological conditions and high body mass index. With that in mind, studies conducted by research teams around the world, including the British Fertility Society, Queensland University, Australia, and Cornell University, US have confirmed that IVF, even with multiple cycles, does not lead to egg depletion nor early menopause. 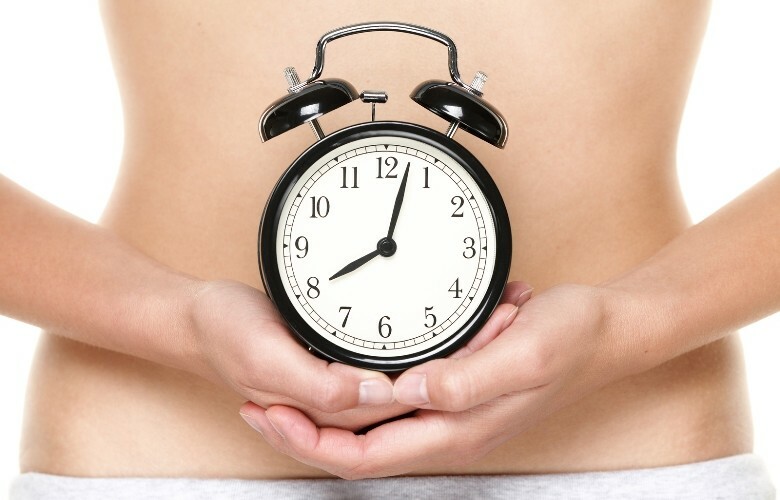 Having studied hundreds of IVF patients through the years, these researchers have concluded that IVF does not affect the timing or severity of menopause symptoms. In fact, many IVF patients reach menopause at the average age of just over 50, which is comparable to most national averages and closely resemble that of their own mothers’. The studies also found that most respondents had given birth to at least one child as a result of IVF. After every embryo transfers, my patients are generally surprised when I ask them to get up from bed to walk almost immediately. Most of them looked at me with disbelief: ‘Doctor, will my embryos fall out?’. Some of them refuted me by telling me that their friends had to lie on bed for 2 weeks after the embryo transfers to ensure that the embryos ‘sticks’. There are some who refused to get out from my operating bed and few had demanded to be warded for 2 weeks. Well, I can’t blame them for asking that, can I? After all, the internet is full of stories of having to lie in bed to ensure the best outcome for the IVF. However, is this really true? Does bed rest positively influence the outcome of the IVF? Is this scientifically proven? Since the birth of the first IVF baby back in 1978, numerous medical advancements have been made to help IVF patients achieve the best outcomes. 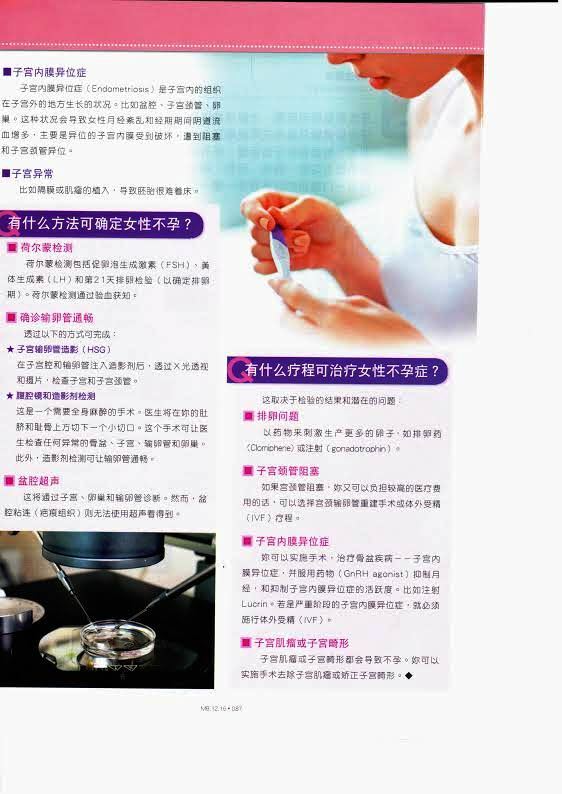 Among them are procedures like ovulation induction, egg retrieval and sophisticated laboratory techniques. While these primary procedures have been tried and tested, some of the simpler procedures, such as bed rest immediately after an embryo transfer, have not been scientifically proven. It is generally believed that bed rest, or the reduction of physical activity right after an embryo transfer procedure, is beneficial as it can reduce a woman’s stress levels and aid implantation. However, there is a study that shows bed rest after embryo transfer can be potentially detrimental! The 2011 study, which was conducted by a team of researchers from Universidad de Valencia, Valencia, Spain, involved 240 patients between the ages of 25 and 49 years old. They were undergoing their first IVF cycle using donated eggs at a private IVF centre. The objective of the study was to evaluate the influence of just 10 minutes of bed rest after embryo transfer on the achievement of live births, as well as implantation and miscarriage rates. The patients were divided into two groups – the R (Rest) and NR (No Rest) groups. Those in the R group were given ten minutes of bed rest after embryo transfer by being moved from the operating room with the help of a stretcher or in a lying-down position. Meanwhile, those in the NR group had no bed rest and were allowed to ambulate (move around) immediately after their procudure. The study’s findings revealed that the live birth rates were significantly higher in the NR group (56.7%) than in the R group (41.6%). The NR group also had lower miscarriage rates (18.3%) as compared to the R group (27.5%). Although the implantation rate was higher in the NR than in the R group, the researchers noted that the difference did not reach statistical significance. Meanwhile, neonatal characteristics like height, weight and Apgar score were similar in both groups. Therefore, the researchers concluded that bed rest immediately after embryo transfer has no positive effect, and in fact can be negative for the outcome of IVF. They surmised that this could be due to the common anatomical position of the uterus, as concluded by another study. It is believed that the force of gravity could cause the loss of newly-transferred embryos. However, since the cavity of the uterus is in a more horizontal position when a woman is standing than when she is lying down, a horizontal position after embryo transfer would not be beneficial. As a result of their findings, the researchers suggest that IVF clinics change their practice of encouraging bed rest after embryo transfer. They also call for more research to be conducted on the physiological or psychological reasons for the benefits of no bed rest after embryo transfer. The results of such studies provide us with more clues on how best to maximise IVF success. Should you have any questions or concerns about IVF procedures, as well as what to do or not do after an embryo transfer, don’t hesitate to speak to your fertility specialist. There are various causes for infertility, including endometriosis, polycystic ovary syndrome, damaged fallopian tubes and ovulatory problems in women, and low sperm count and motility or problems with erections or ejaculating in men. Unhealthy lifestyle habits such as smoking, illnesses like diabetes, as well as being overweight are also contributing factors. In most cases, infertility can be treated, but for many couples who are struggling with infertility, In-Vitro Fertilisation (IVF) is their best option. Couples undergoing IVF are often faced with uncertainty and wonder – What are our chances? When will we have a baby? Some undergo IVF multiple times without success, and as they are unsure of their chances, they end up giving up. There has always been a debate on how best to measure the success of fertility treatments, however, now a Danish study is providing realistic information that’s reliable for the long-term prediction of treatment. The long-term study was conducted by researchers at the Copenhagen University Hospital, who referred to rigorous registry records. Denmark is one of the few countries in the world where such a study could be carried out, due to their practice of keeping detailed records that link all fertility treatments to all live births. The researchers analysed nearly 20,000 Danish couples from 2007 and 2010, following them from the moment they started their fertility treatments. The study’s findings were recently presented at the European Society of Human Reproduction and Embryology (July 2016). The team found that more than half of the women (57%) had their baby as a result of treatment within two years, 65% had children within three years and 71% within five years. This means that almost 3 out of 4 couples undergoing IVF will eventually become parents within five years, whether as a result of the treatment or following natural conception. The study also found that while most causes of infertility can be overcome, the odds of conception are heavily influenced by a woman’s age. They found that in women under the age of 35, about one in three IVF cycles were successful and 80% had children within five years. However, the total birth rates fell to 61% in those between 35 and 40 years old; and fell again to 26% in women aged 40 and over. The study also revealed that women with a Body Mass Index under 30 and didn’t smoke also had better outcomes. These figures provide encouraging news for couples who are seeking or embarking on fertility treatments, as they reveal that their chances of having a baby are good. According to study presenter, Dr Sara Malchau, “We are now able to provide couples with a reliable, comprehensible, age-stratified long-term prognosis at start of treatment”. Although individual prognosis and factors play a role in the success of IVF treatments, this study has shown that overall, IVF treatments are working, but they take time. Therefore, couples may need several treatment cycles for their best chance at conception.